Our ability to travel to far-away places for adventure in a relatively short period of time has opened up multi-globalism, and expats are one indication of this new world. The ability to interface with people on the other side of the globe via the likes of Skype and Instant Message has opened up several opportunities for many to visit and or live abroad. 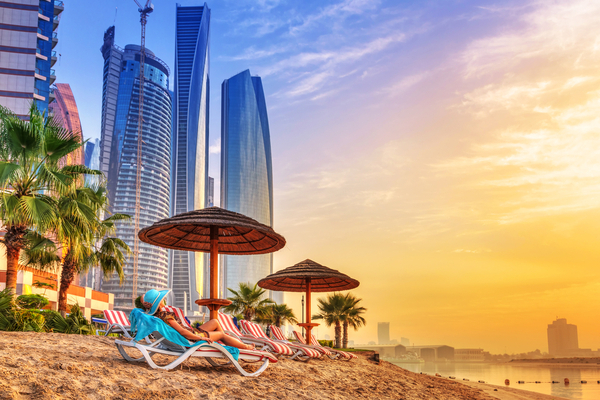 Young, ambitious professionals eager to make a good living are honing in on the Middle East, specifically the UAE, or the United Arab Emirates, as their home-away-from-home. Dubai is the most popular city in the Emirates among expats and travelers to the Middle East. You may wonder what it would be like, and today we will venture into what it looks like to live a day in the life of living abroad in Dubai. The United Arab Emirates has seven states. These states are called Emirates as they are ruled by an Emir. (The UAE borders Oman and Saudi Arabia and shares sea borders with Kuwait and Qatar.) Read more about the region of the Middle East here. 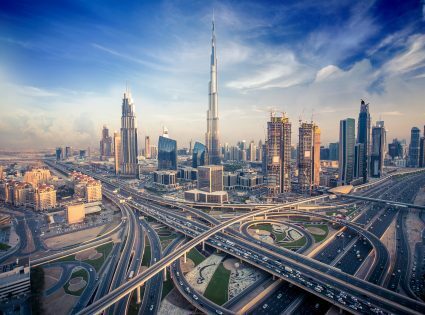 Dubai’s capital, Dubai City, is considered one of the fastest-growing in the world and Dubai’s rapid expansion is viewed as a magnet for expats. This has happened within the last four decades. So what’s Dubai like, when one isn’t working? Dubai is for lovers of heat and sun. The temperature hovers around 104 degrees Fahrenheit or 40 degrees Celsius. Weekends (which are from Friday to Saturday, in Dubai) its denizens take full advantage of the white coastline of sandy beaches. We visited Dubai in May 2018 for a recreational trip and can attest to the intense heat, it is quite a shock to the system if you were raised in a colder European country. The temperature rises even higher in the summer months so expect to take some time to adjust to the additional heat if you have never lived in a hot country before. Just like the hot sand, the economy is also blistering. Dubai has become a Mecca for the construction, media, finance, engineering, and IT industries. Although Dubai is not totally immune to recent economic downturn and recession, some sectors have seen growth slow down or even seize up. Due to its rapid growth of late, the hospitality sector is also booming as the properties are evident by the rapid construction of new hotels and apartments. This means that there is plenty of work in these fields. Indeed, Dubai has become a magnet of sorts for Western professionals. If you have traveled to Dubai to stay for a while and find work, there should be plenty of employment potential if you have skills and good references. 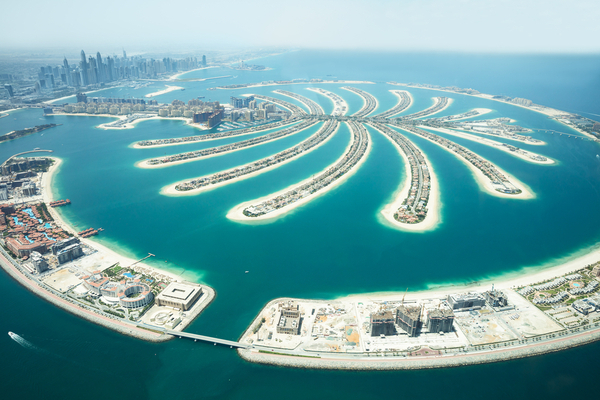 Dubai seems to exude prosperity, from its skyscrapers to its five-star luxury hotels. The skyline veritably shimmers with modern, newly constructed architecture and the streets, down below, are frequented by shoppers as they cart colorful shopping bags from mall to mall. So how expensive is it to live in Dubai? 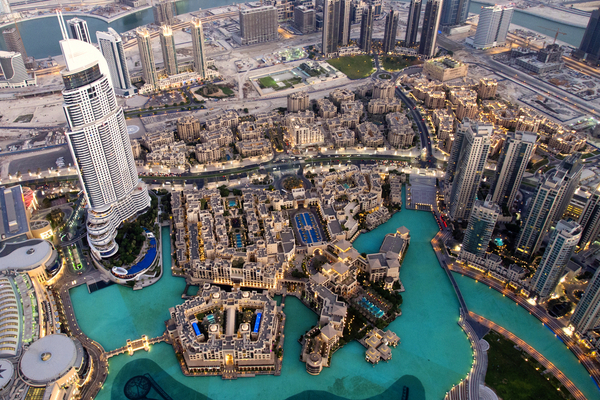 Approximately 1.5 million people reside in Dubai. Although females only account for about one-fifth of the population, the influx of foreign women and—with the support of their families is on the rise. Local women in the workplace, are coming into their own, with the result that there is almost a level playing field in many industries, although there is still certainly some inequality. Women in the workplace do not have to worry about sexual harassment, as there is a severe penalty for such behavior. There are many local women in top-level positions within Dubai corporations, but these women generally come from families that yield some social clout—the middle and upper-class families. Women who arrive with their spouses will generally have a restriction on their passport, which they will have to have altered, in order for them to work. However, for some reason, employers are still biased against giving women work visas. It is not uncommon for women to be offered work “illegally”, but this can cost the company a fine and the woman her job. In Dubai, the expats far outnumber the local residents. To give you an idea of the disparity, for every one citizen, or Emirati, there are five expats. Where do most of the expats come from? The majority come from Southern Asian countries like India, Pakistan, the Philippines, and Bangladesh. In recent years larger and larger influxes of expats from the U.K., Australia, the U.S., New Zealand, and Canada are also presences that are being felt. Many of these influxes of new residents are professional people and entrepreneurs are in Dubai to seek relief from harsh western taxation regimes and who wish to experience a new way of life. It can truly be said that Dubai is a global and cultural melting pot! The economy of Dubai is structured so that you have the opportunity to “work hard and play hard”. After putting in your 40-48 hour week, and if beaches aren’t your cup of tea, you will not have to travel far to partake of indoor wave pools and even indoor skiing slopes! 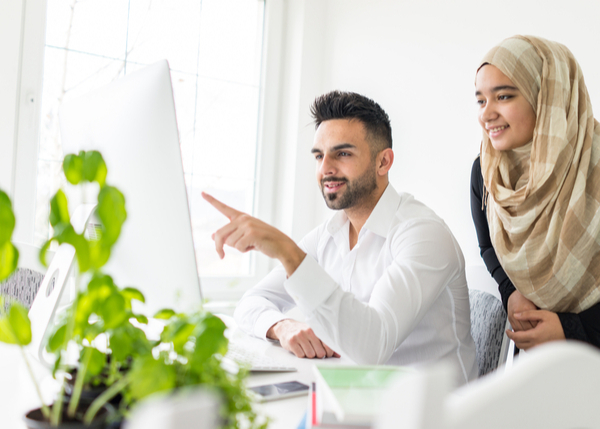 In September, during the holy month of Ramadan, fasting is required from dawn to dusk in the Muslim faith and, in observance, most employers stay open only six hours per day. There is no better place to find products of every type and kind at unbeatable prices, a wide choice of accessible malls and shopping centers will please every kind of traveler. 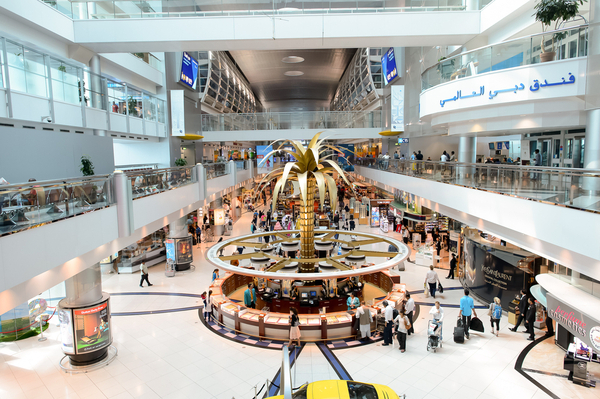 Dubai excels in providing a shopping experience that applies value, choice, and service. They believe for instance that unlike some western shopping malls, a shopping trip should be an enjoyable experience. Dubai’s numerous shopping centers cater to every potential consumer’s shopping needs. Interestingly, you can purchase high-value items like cars, televisions, and gadgets under the same roof as where you would purchase your grocery and household items. There are many shopping centers to choose from in Dubai, one of the most well-known is the Dubai Shopping Mall. You can shop until you drop, and its all under one roof! Traveling to the Emirates to live in a city like Dubai requires some adjustment for any western traveler. The heat will hit you hard and the change in lifestyle, culture, and customs will also need adjusting to. The people of Dubai are very respectful, however, there are many harsh penalties for breaking their law. Spending time in a Dubai prison is probably not somewhere you want to visit so take time to learn the dos and the donts. If you are female it is important that you dress conservatively in public places. It is also important to know that drinking alcohol in public is frowned upon. If you can get used to the different culture and the heat, Dubai is an amazing place to spend time, either for work or leisure. Dubai is not the cheapest place on Earth but this is offset by the low taxation. If you are passing through as a visitor, eating choices and wise accommodations will make funds last longer. If you are used to a whirlwind ‘party lifestyle’ in your home country then adjusting to Dubai will probably take the longest. 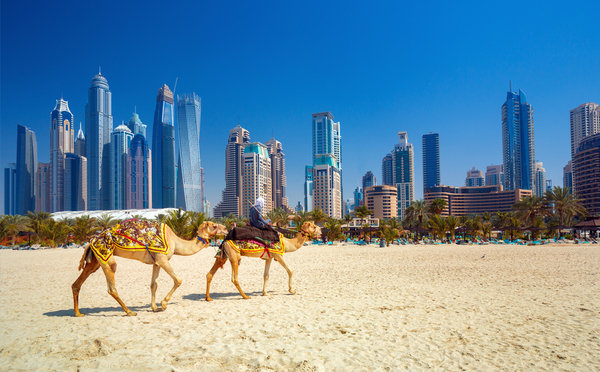 Considering a Trip to Dubai City or the Middle East? The Dubai skyline is just one of those places that need to be seen in person do to the sight justice. Is Dubai a symbol of mankind’s ambition or a monument to its greed and excess? Once you have the opportunity to live abroad in Dubai, you will have to decide for yourself.